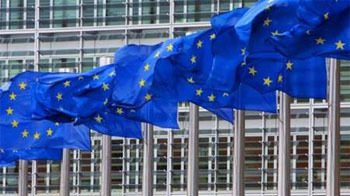 The role of the European Union as a global player in the field of peace and international security is one of GRIP’s main research themes. 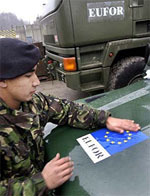 GRIP is monitoring and studying in detail the implementation and development of the concept of European Union security developed in the European Security Strategy adopted in 2003 (including a comparison with the security doctrines and concepts of security of NATO, the United Nations and the United States) and the new CFSP/EFDP institutions considered in the Lisbon Treaty (permanent structured cooperation, Foreign Ministry, etc.). GRIP’s work is based on the idea of Europe as a “quiet power” preferring alternative options and resources to use of the military (development cooperation, placing conditions on aid, penalties, elections and conflicts, mediation and building multilateralism). In November 2010, the conclusion of the two treaties between France and the United Kingdom sparked numerous suspicious reactions in Europe. This article is led by a double question. More than one year after they have been concluded, what are the achievements of the treaties in terms of cooperation? Do the accomplishments allow to have a better view of their impact on the European Security and Defence Policy? Without jumping to conclusions, it is already obvious that the progress is tenuous because of several technical and political obstacles. While the operation in Libya highlighted the European shortage in military means, a strict bilateral cooperation among the two European states is more than ever questionable. In an era where the world is in permanent mutation, a deeper European political integration seems to be necessary. The adoption of a strategy against the proliferation of SALW (small arms and light weapons) has allowed the EU to better structure its many initiatives to assist areas affected by the proliferation of SALW and the promotion of multilateralism in fight against this scourge. Still its Member States are struggling to harmonise their practices in the SALW trade and thus to act preventively against diversion and proliferation. This lack of coordination could be filled through practical initiatives such as the introduction of a "New for Old" clause and a better exchange of information between the 27 on diversion. Failing to do so, the EU policy in this area will be forever limited to repair the damage caused by SALW (including those coming from the EU) in post-conflict countries. Composed of 413 articles, 37 protocols and 65 declarations, for a total of more than 400 pages, the new European treaties amended by the Treaty of Lisbon are not easy to read. Besides, the fact that these articles do not have any title helping to identify the topic treated is another factor which complicates the reading. In order to face these difficulties, GRIP has decided to collect all the dispositions of the European Treaties which regards the external policy. The collection is not limited to the articles which specifically address the external policy of the Union. It includes also several other dispositions scattered among the articles, protocols and declarations, which are essential to understand the EU competences outside its borders. When an article also concerns other subjects, the part concerning EU external relations is underlined. On the other hand when the articles exclusively concern the EU external relations, their numbers and titles are underlined.